Hope you’ve had a nice week! I am very excited for Christmas. I don’t have long until I am on Christmas holiday! I am really busy at the moment with deadlines before Christmas so even though so many bloggers are doing blogmass, and I really want to read all of them, I have had so little time and am missing so many posts…but next week I’m going to have a proper good catch up! 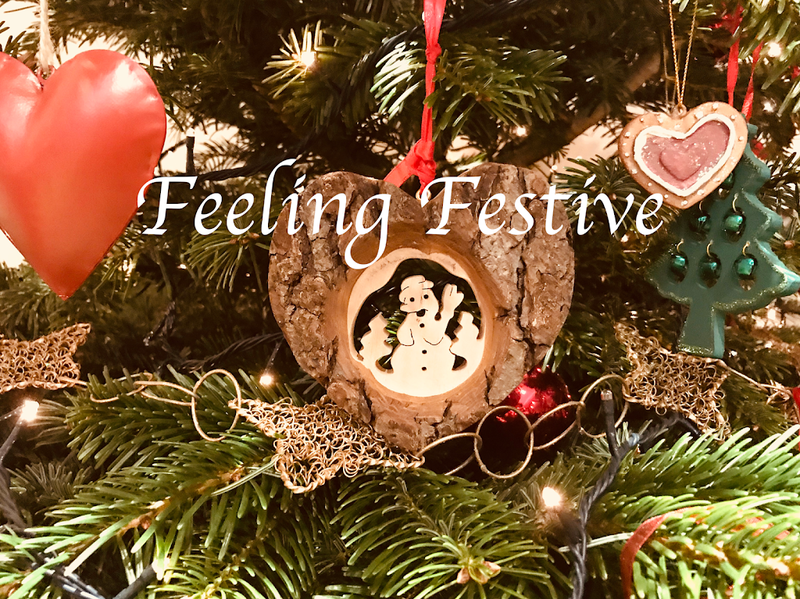 Today I am going to share with you my list of festive things you can do in the run up to Christmas to get into the festive spirit! I love going to garden centres at this time of year there are always so many lights and Christmas decorations! One garden centre near me has had reindeer and donkeys visiting throughout December! This is something I have not done very much of this December but will definitely be doing next week! Again something I have not had much time to do but I’ve watched a few and they make me feel so Christmassy. I love watching a good Christmas film with a mug of hot chocolate. Some people feel wrapping Christmas presents is a chore but I love it. You can see last week’s present wrapping post here. I show seven different ways to decorate a present! I love wrapping presents in-front of a Christmas film, an open fire and the Christmas tree lights! I really love mince pies and have eaten a few too many this December. I feel they are only around for a short while so I’ve got to make the most of them! I really enjoy baking so I definitely love baking Christmas treats like gingerbread men and cinnamon biscuits. You could even bake mince pies then eat them! Can I just say this December I have found Heart Extra Christmas radio station and I love it. 24 hours a day of Christmas songs until the 27th of December! Thank you for reading, hope you enjoyed! Is there anything you love to do in December that I’ve missed off my list? Let me know in the comments below! wrapping presents is one of my favourite things to do at christmas, always makes me feel so festive!! Thank you so much! I hope you had an amazing Christmas! I love wrapping presents and it feels so magical seeing all the wrapped presents under the tree! Thank you so much, I hope you had a great Christmas!